This is an updated post about Barcelona, that I have written on April this year. I hope you will find this article about Barcelona very usefull, once you come to visit this stunning city. 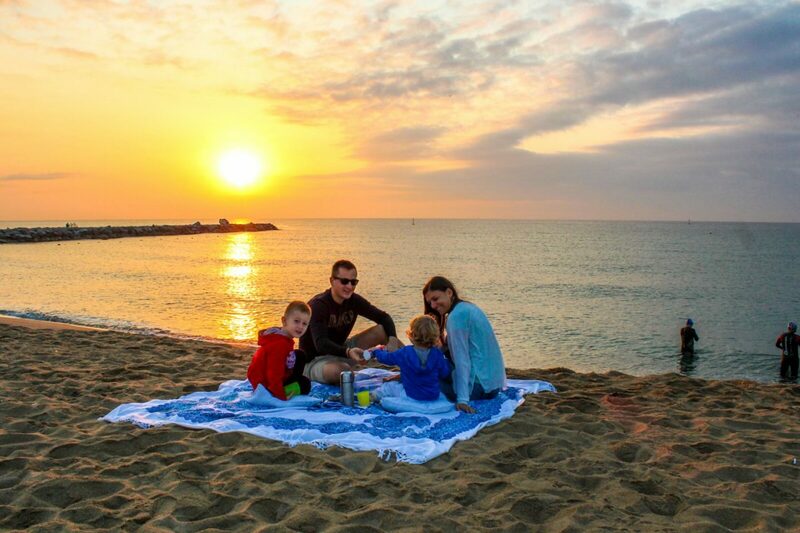 Barcelona is the perfect destination for any traveler, from solo traveler to big family travelers. Barcelona has things to enjoy for any age and type of traveler. 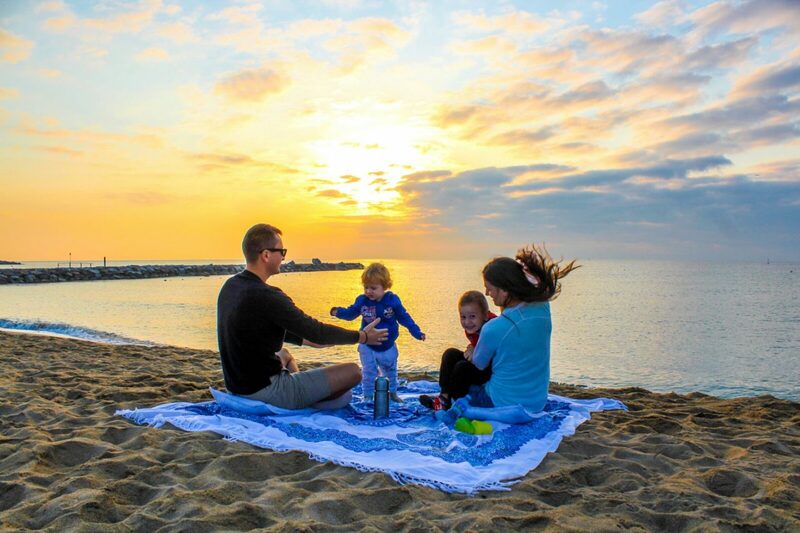 Best time to visit Barcelona is from June till October, July and August are very hot, but if your plans are to lay on the beach then it’s perfect time as well. Lowest prices on hotels are in January or February, on these months you can easily grab a great deal for a 5* hotel. Transport. Taxis. Taxis in Barcelona are cheaper that in other European destinations. Public transportation. Barcelona has an excellent public transport network. The most used is metro. 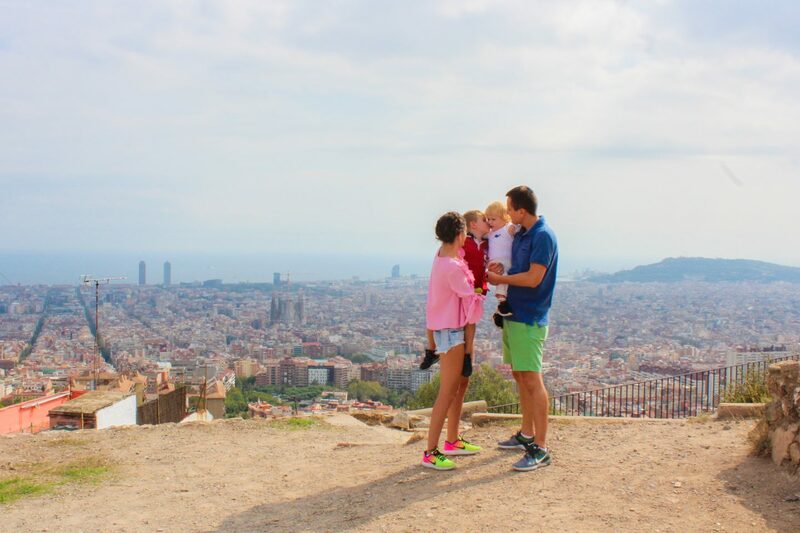 Specially for tourists, the city offer daily passes, Hola BCN!, passes for 2,3,4 and 5 days. These passes include the price for circulation during 2, 3, 4 or 5 days without limit in any combination of metro, bus, train and tram operated by TMB, Renfe and FGC. The ticket include the price from and to the BCN Airport. There is an option of a T10 pass that can be easily bought from a ticket machine. It is used mostly by locals. The T10 pass costs 9.95 EUR, but you will need to buy additional ticket if you need to get to Airport, and the cost is 4,50EUR. Where to stay in Barcelona? Hotels. 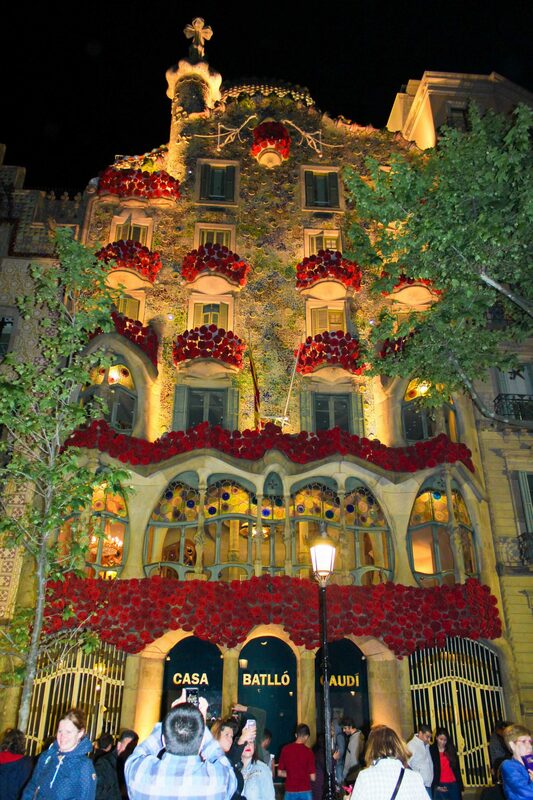 Barcelona offers a great range of accommodation, ranging from cheap to high-end luxury hotels. 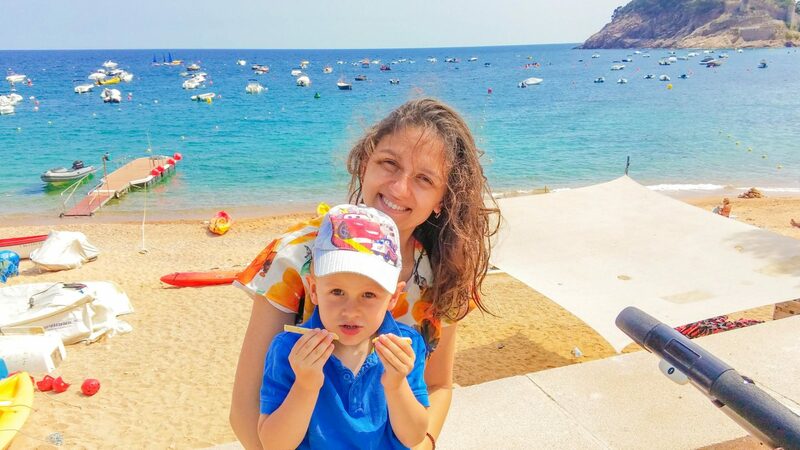 – Hostels like Generator Hostel Barcelona and Amistat Beach Hostel have great location and are welcoming places to stay, of course without kids. – Hotels like NH Barcelona Sant Just 4* or NH Collection Barcelona Tower, are hotels with great service, and with prices lower that in the city, the only inconvenience is that these are not in the city center. Even though, these have a good communication to the city center. You can have great deals checking their pages. Both hotels are family friendly and have great rooms for families. – Another option is to check deals in Top Secret hotels on lastminute.com page. – W Barcelona, for sure is the iconic hotel of the city. It is the only hotel with direct access on to the beach. Great views over the city and the sea. Don’t forget to have a drink by the pool. And yes, this hotel is family friendly. – Cotton House hotel, opened its doors in January 2015, and yes it has spectacular design, centrically located and family friendly. It is one of the hotels that you wish to stay on each of your travel. – The One Barcelona is other 5* property worth to be mentioned, as it opens its doors in February this year, 2017, yep, a great design and perfect location. Family friendly property. – Other 4* star superior hotels, that opened its doors to the public during 2015-2016 Vincci Mae, H10 Cubik, H10 Casa Mimosa. Apart of H10 Casa Mimosa, all other hotels allow children. All has centrical location and brand-new design. What to do in Barcelona? Best things to do in Barcelona. 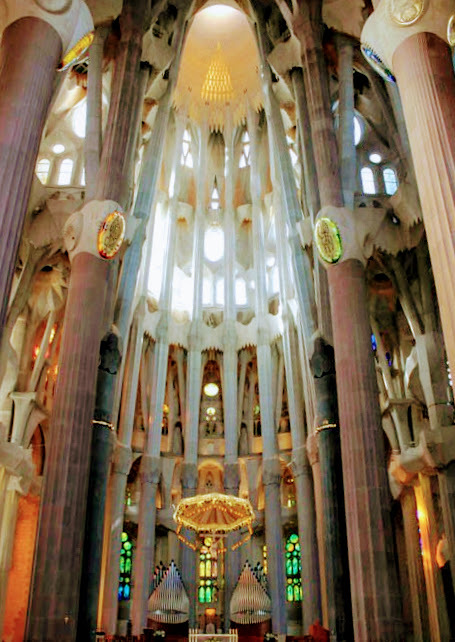 Explore Gaudí: Sagrada Familia, La Pedrera, Parc Guell, Casa Batllo all are worth visiting…and yes, with kids. Take them there, to discover the spectacular work of this master. 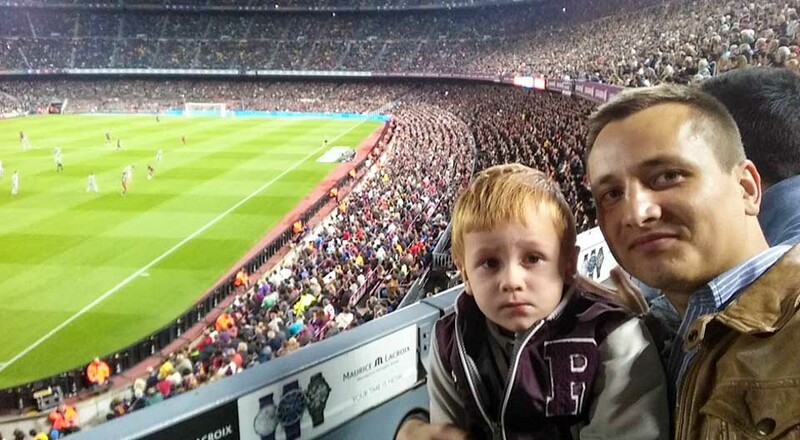 FC Barcelona Camp Nou experience: If you are a football fan, just don’t miss it. Camp Nou is the famous football ground for FC Barcelona, visited by a millions of tourists each year. 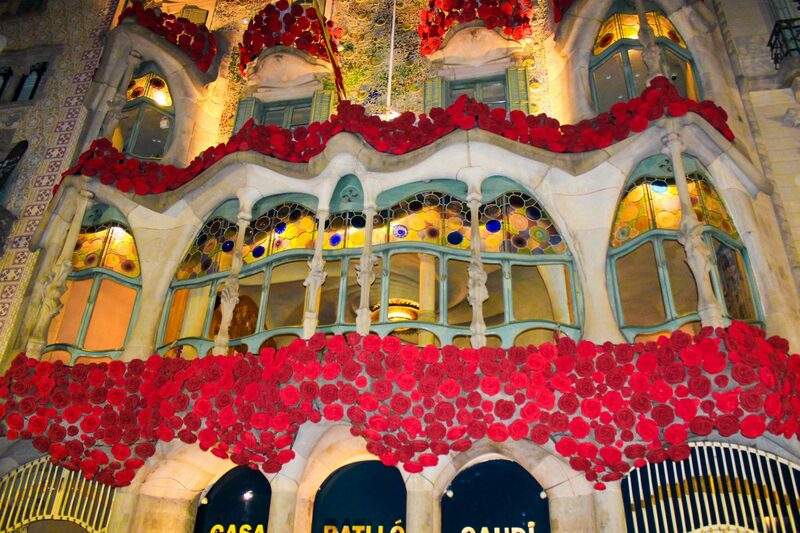 Passeig de Gracia: for those who are in love with shopping. All the street between Gracia to Placa Catalunya is a shopper’s paradise. Discover the Gothic Quarter (El Barrio Gotico). A pleasant walk including Picasso Museum, Placa Reial, Barcelona’s Gothic Cathedral (Santa Eulalia Cathedral) will bring you back to medieval times and beautiful history of the city. Las Ramblas, is a beautiful street of the city, but my own opinion is that it is overrated, and there are much more beautiful places to see in Barcelona. But, don’t miss to visit La Boqueria Market, one of the most known markets in Europe. And ending your walk at Aquarium de Barcelona. Montjuic and Montjuïc Mountain Cable Car experience. A great experience to see the city from bird’s eye view, and as well touching the culture by visiting Poble Espanyol, MNAC Art Museum. And at the end of the day to enjoy the music, water and lights of spectacular Magic Fountain show. 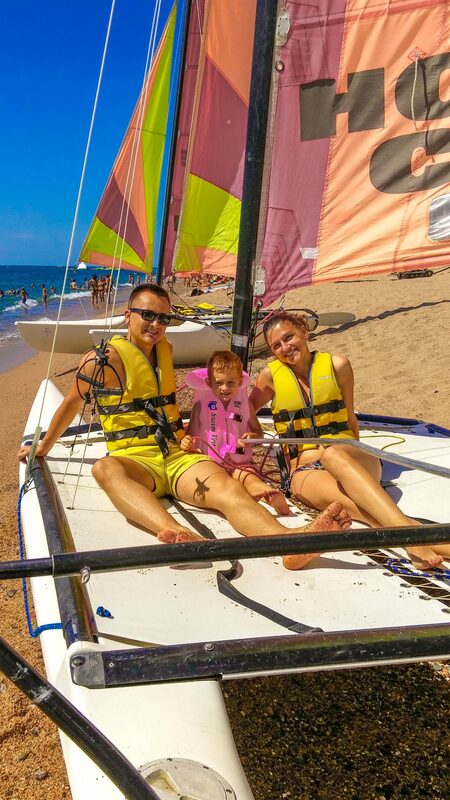 I would say that this experience is the best one for families with kids. Bunkers- El Carmel. It is a place that becomes very popular within instagrammers in lasts years. And I understand it why, the views are just marvelous, and you have to come and watch Barcelona from the top. Beaches. Even if all of tourists know about Barceloneta beach, it is far not the unique beach in Barcelona, all the coast is beautiful. A lot of restaurants offer great sea/Mediterranean food for all type of tourists. One tip. Go and see the sunrise in Barcelona. The views are splendid, and I am sure that you won´t regret any minute spent at the beach. 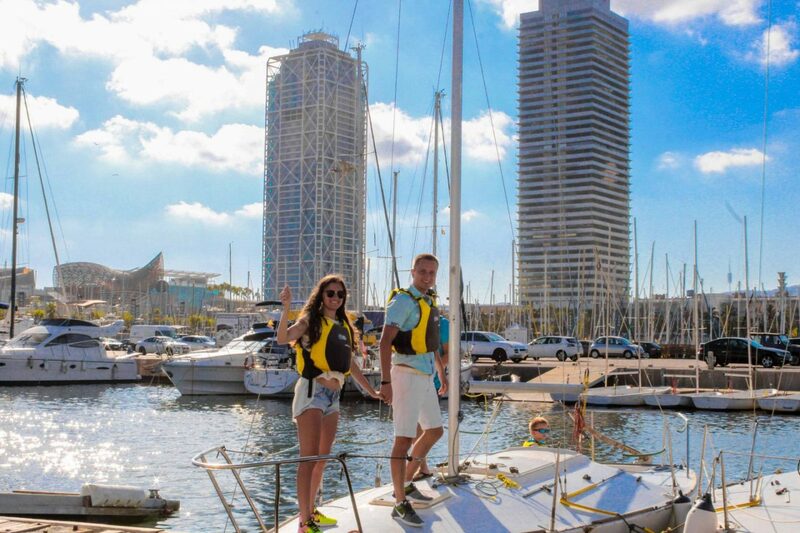 If you take your time at the beach of Bogatell, then we advice you to visit Centre Municipal de Vela, and to go kayak or paddle, or even better, take a J24 sail, and have the best time sailing in the sea. Tibidabo Theme Park. 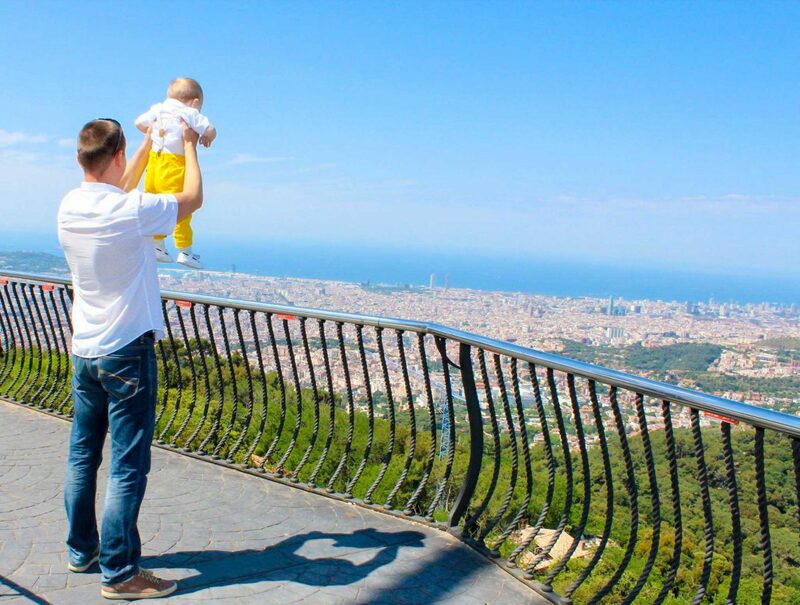 Located at the top of the city, apart of great views that offers over Barcelona, it is a great attraction place for kids. 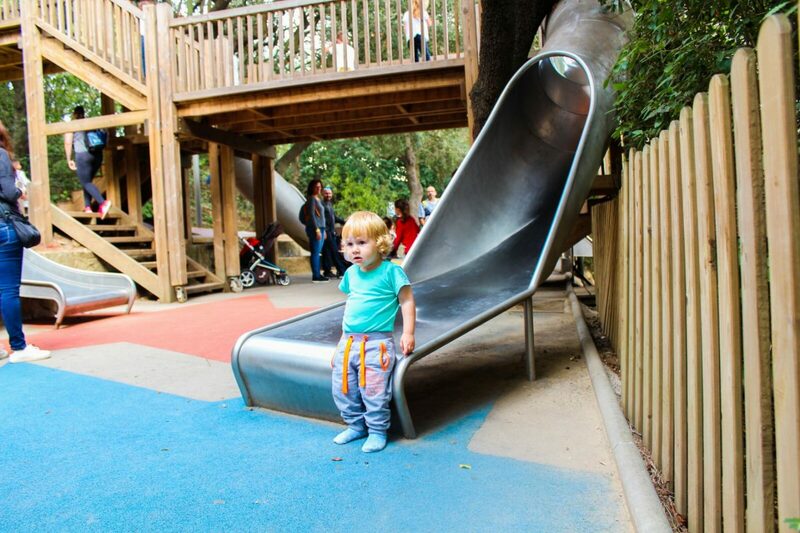 Kids of all ages will enjoy the day spent there. Parks. Apart of Parc Guell, that it is obviously the best park of the city, Parc de Ciutadella is worth to be visited as well. 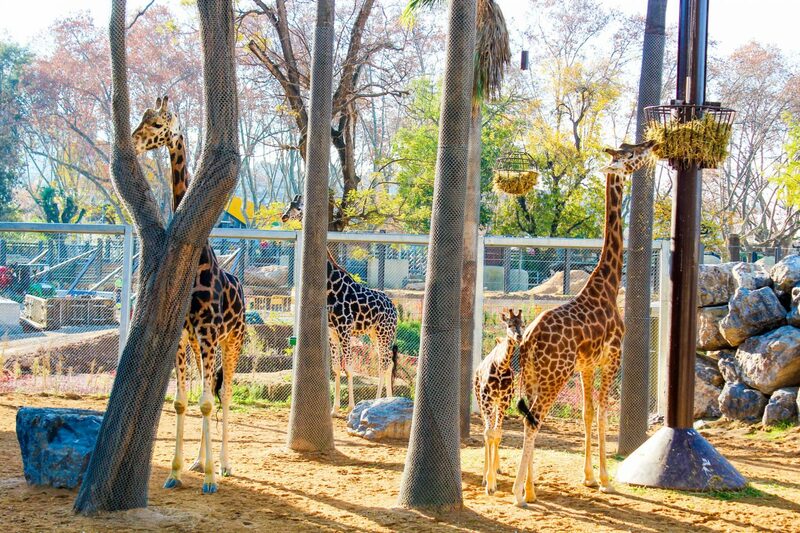 Additionally there is the famous Zoo Barcelona, a perfect place for your kids. Torre Agbar. 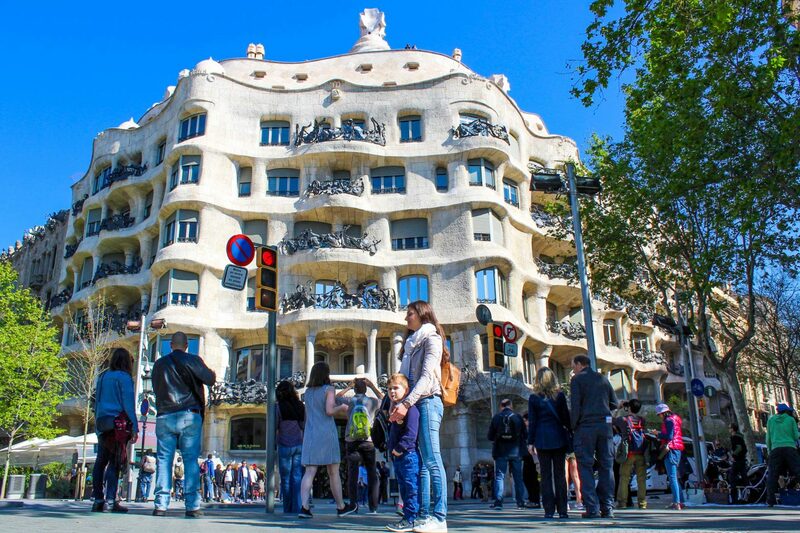 The newest architectural icon of Barcelona worth to visit with kids. Paella or Fideua. Paella is the preferred meal of the tourists, while fideua has more popularity within the local people. The difference is that paella is made of rice, and fideua is from vermicelli-type noodles. All our family loves paella, and I think this thing shows that we are still tourists in Barcelona. Sangria. Famous Sangria, consists of red wine and chopped fruit, often with other ingredients such as orange juice or brandy. A drink to taste for adults while in Barcelona. Cacaolat. Cacaolat is a kid beverage, that is nothing else than milk with cacao, but with a history. It’s unique taste make it famous as an authentic beverage of Barcelona. Pan con tomate (Pa amb tomaquet) The simplest and extremely delicious tomato-rubbed bread. The history of this dish is very impressive. In the hungry years, after the war, people used red tomatoes on a very dried bread to make it easier to eat. This meal helped Catalonian people to survive these years. Crema Catalana. The best dessert to taste while in Catalonia. It is a burned custard made with lemon rind and cinnamon. Additional info. 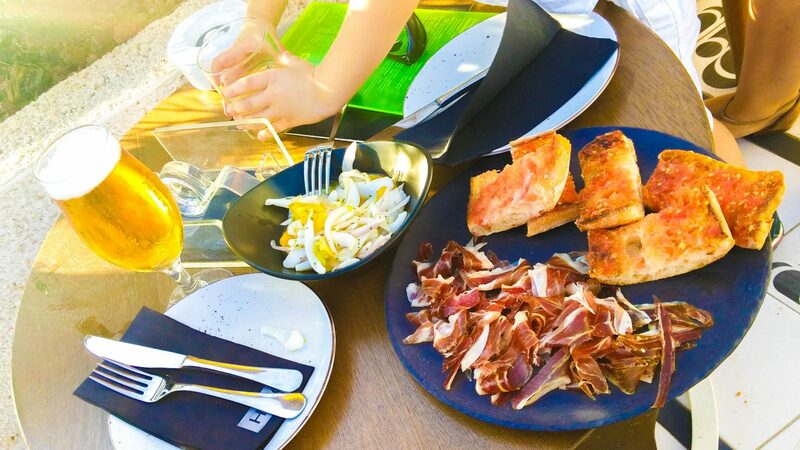 Keep in mind that Barcelona is a Mediterranean city, and meals are served later than in the North of Europe. Restaurants are generally open from 1:30 p.m. to 4.:00 p.m. for lunch, and from 8:30 p.m. until 11 p.m. for dinner. Where to go for 1-day trip from Barcelona? Barcelona is not only a city experience. This city is surrounded with beautiful beaches, mountains and medieval villages. Sitges. A beautiful coast at the south of Barcelona, that you can reach with a short train ride away. Here you will find beautiful beach, a plenty of lively restaurants that serve yummy yummy food. Costa Brava. 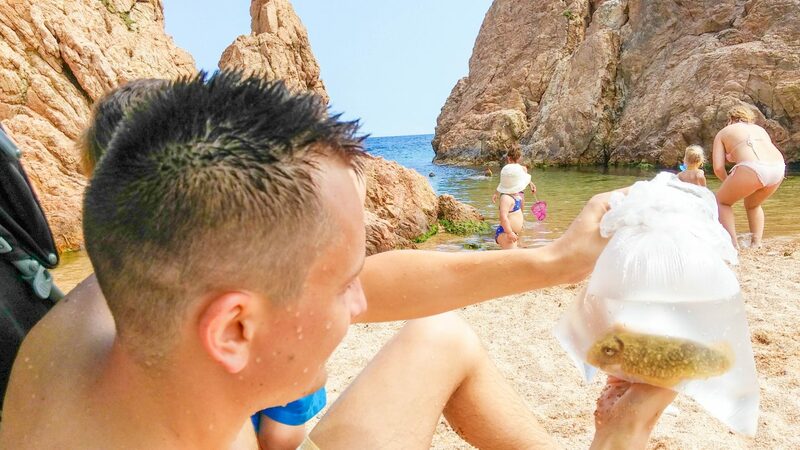 Masnou, Lloret de Mar, Tossa de Mar, Platja D’Aro, Pineda de Mar, are one of the towns worth to visit for the beaches and perfectly clean water. Girona and Figueres. 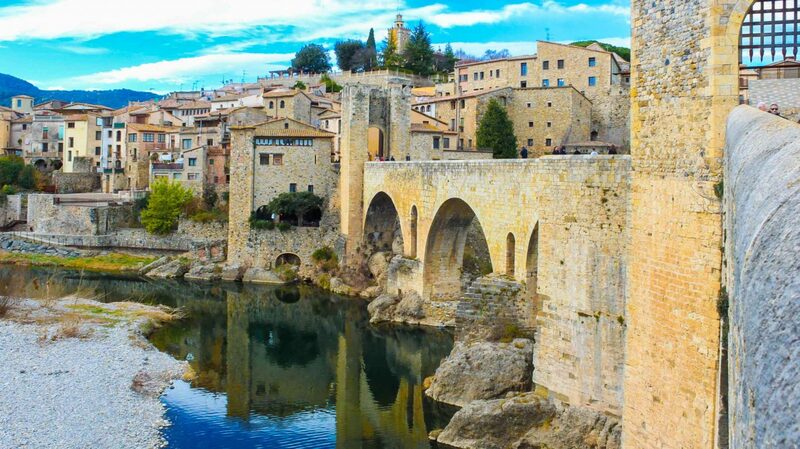 Take a tour, and get lost in medieval villages as La Garotxa, Besalu. Discover Salvador Dali´s hometown, and why not to see precious town of Cadaques. So, have you decided? 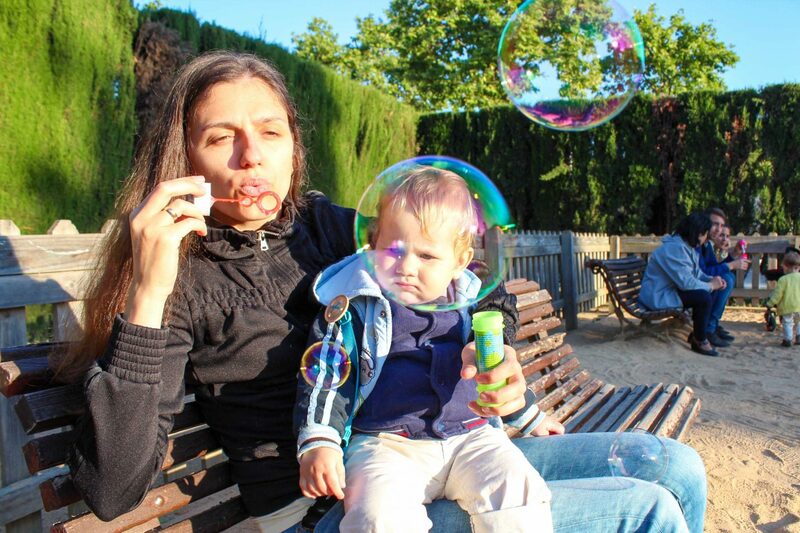 Come and see Barcelona with kids. For sure you will have a lot of fun together. 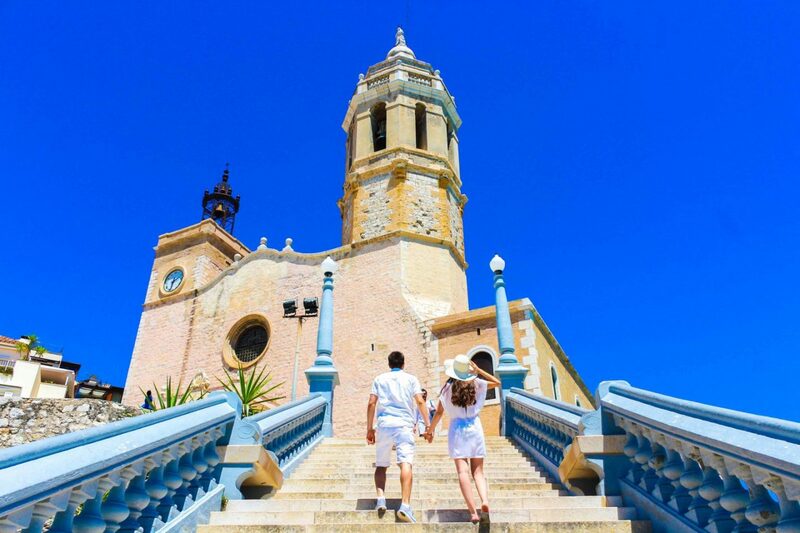 Other lovely destinations that can be visited in only one day from Barcelona: Masnou, Montserrat, Tossa de Mar, Pineda de Mar. Previous Post Farm Experience in Norway. Discover Norway with kids. Next Post 1 day trip with kids to Zaragoza. 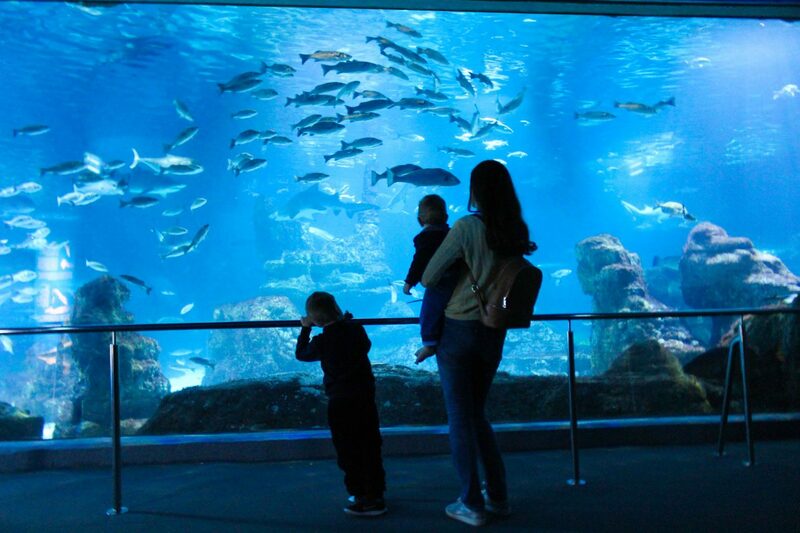 Top things to see with kids. Love your blog. 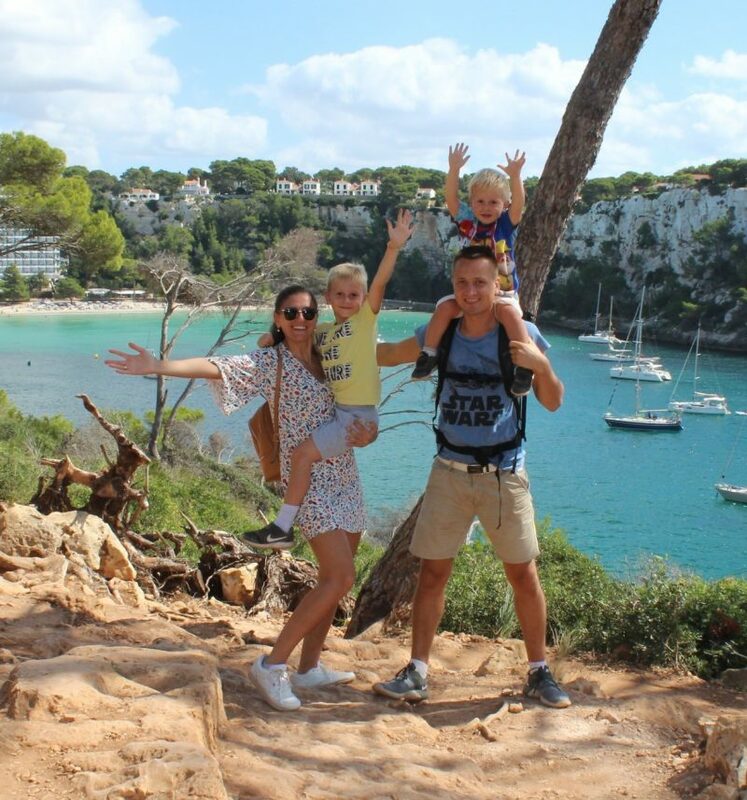 Do the entire family travel full time or just on occasion travel? Really love the family concept travel. Thank you for your comment Interestingly Awesome. We use to travel as much as we can, but still not full time travelers. 🙂 Maybe one day we will thing about such a crazy thing to travel all day long. I was in Barcelona 2 years ago with my husband. We booked free walking tour Barcelona because we wanted to see all sights of the city but didn’t know where to go. 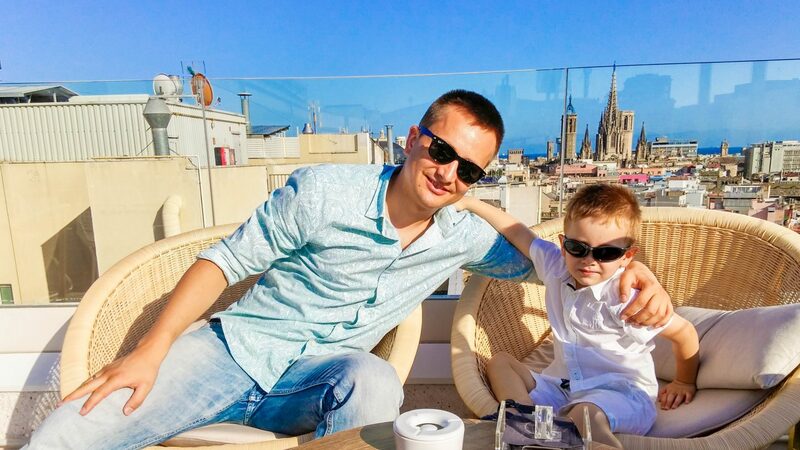 Now we can return in beautiful Barcelona with our son and your tips very useful. Really appreciate that, thanks a lot! We are so happy that you enjoyed your trip to Barcelona. It is great to view such lovely comments about the city we live in.